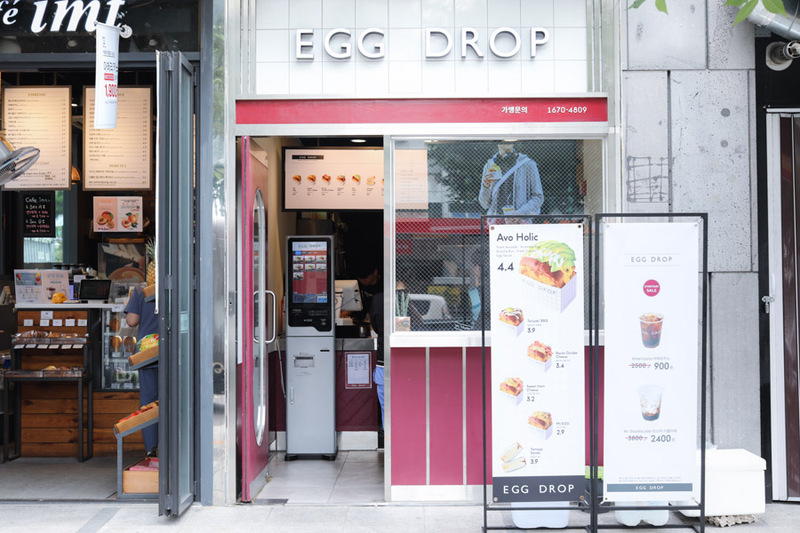 [Seoul] Egg Drop 에그드랍 is becoming one of the popular breakfast spots in South Korea. 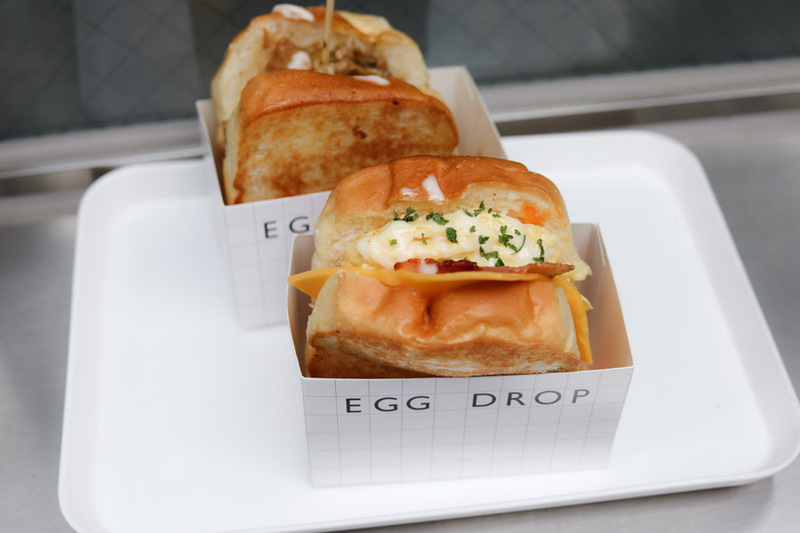 With its offering of egg sandwiches in different fillings, one would see this as a close competitor to Isaac Toast. 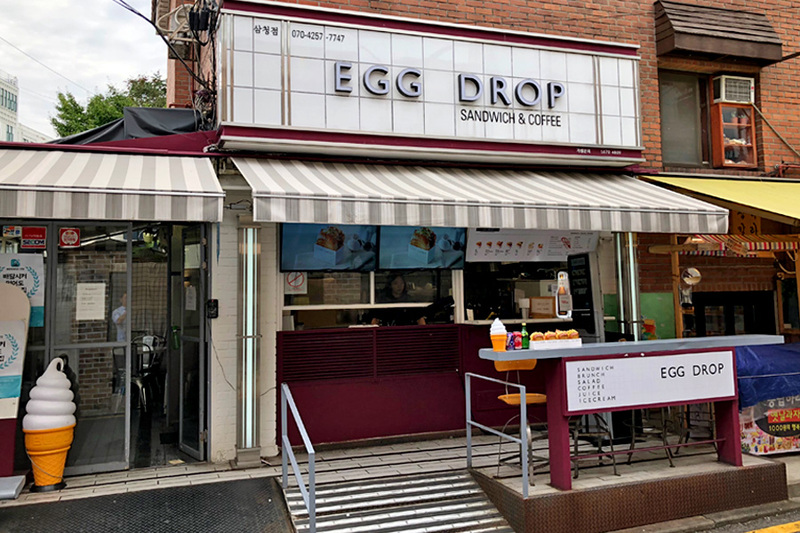 There are a couple of branches in Seoul itself, at Samcheong, Sinchon (Mapo), Mapo Station, and Mokdong, though not in the hundreds like the better-known Isaac Toast. The more convenient branch to get to is at Samcheong-dong, known for its Bukchon Hanok Village (also near Gyeongbokgung Palace) where it is beautifully surrounded by century-old traditional teahouses and tourists walking around in rented Hanbok. 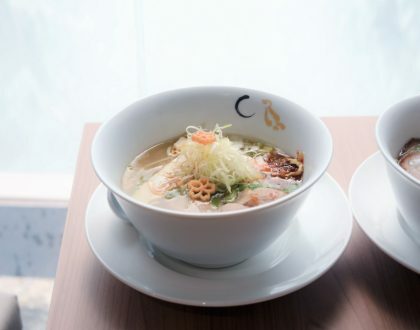 There are a couple of seating spaces, compared to the Mapo branch which caters more to the nearby working crowd. 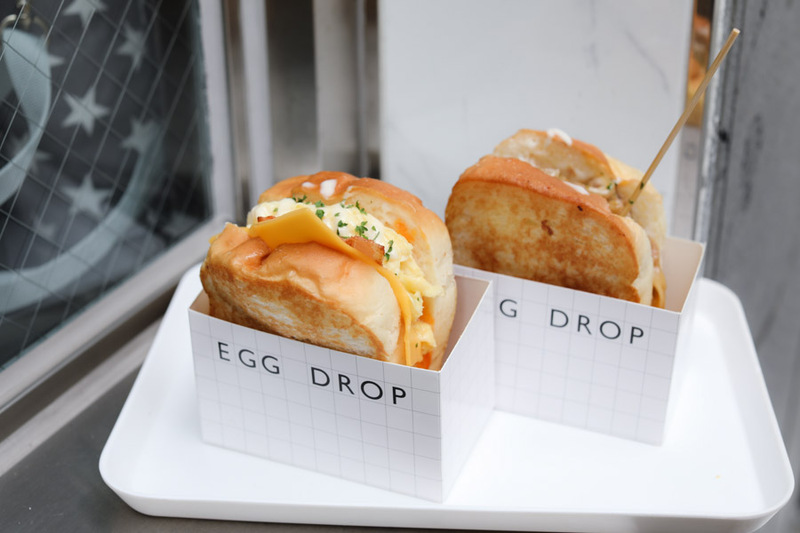 The egg sandwiches come in varieties called Mr Egg, Sweet Ham Cheese, Bacon Double Cheese, Teriyaki BBQ, and Avo Holic, priced affordably from 2,900 Won to 4,400 Won (SGD3.55 – SGD5.40). 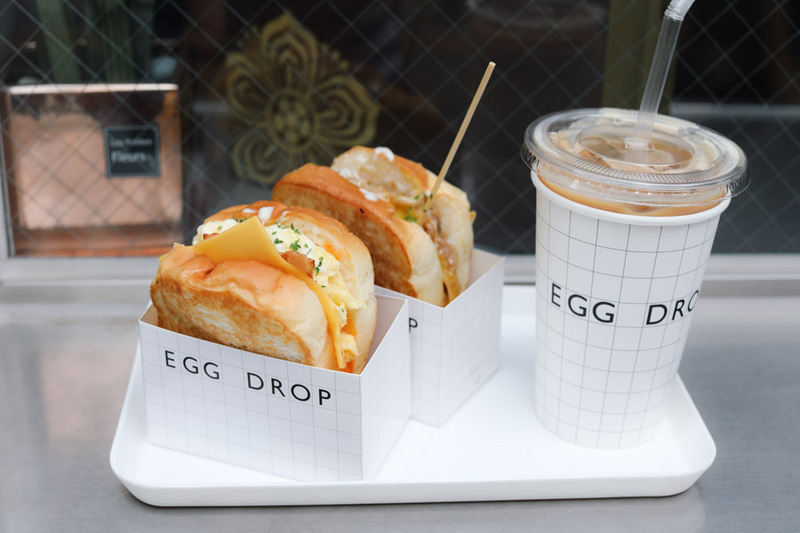 There are also Tamago Sando (3,900 Won), Egg Cobb Salad (4,400 Won) and coffee drinks 2,400 Won – 2,900 Won) sold. You order via a vending machine, but there are English instructions. Kind of. Get your cash or card ready before you hold up the queue behind. 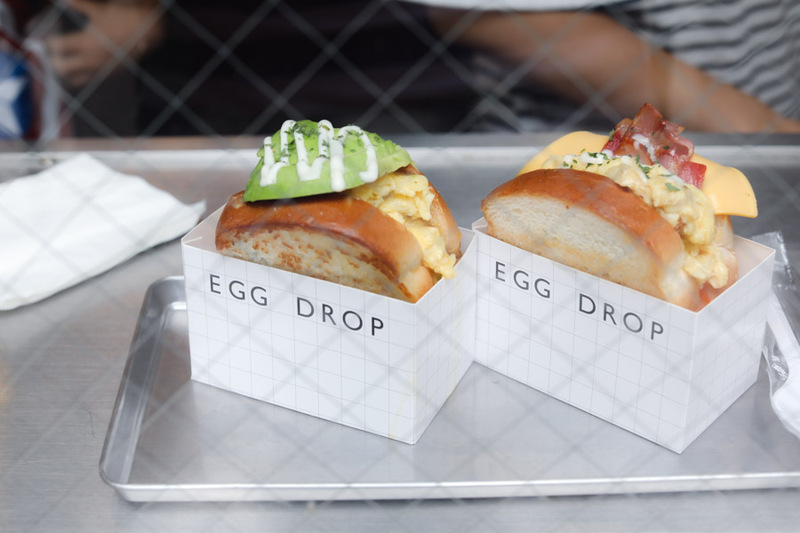 The crowd favourite is the Avo Holic – perhaps because it is healthier; or the scrambled eggs filled Bacon Double Cheese or Sweet Ham Cheese. After waiting for about 15 minutes, I was served with these toasts neatly wrapped in these well-packaged boxes, that made it more convenient to take-and-go. 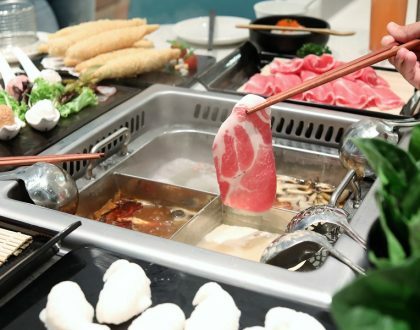 Would you call this love at first bite? 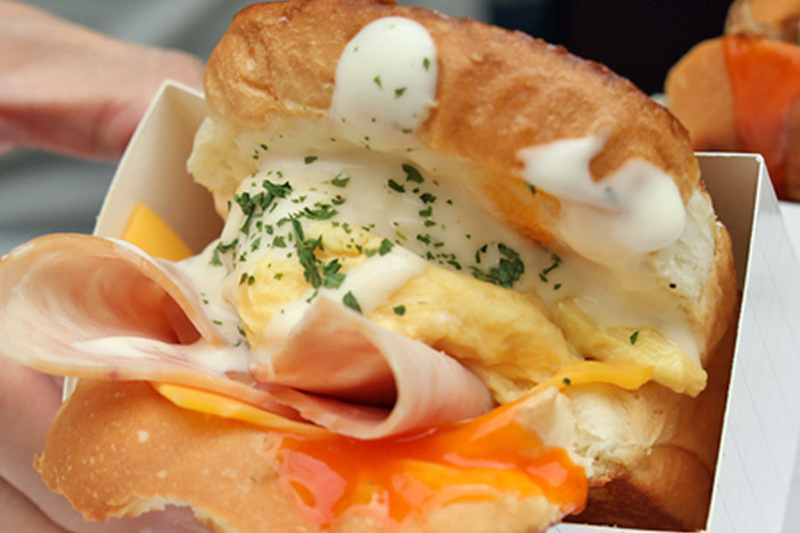 It was really all about that thick buttery brioche toast, with crispy exterior and soft texture. The contrast made it really alluring. 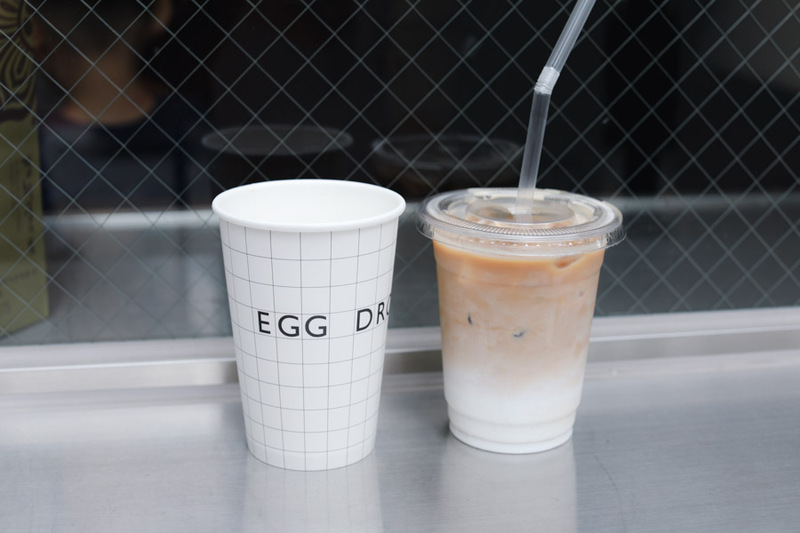 The egg itself was creamy and fluffy – slightly steaming hot too, though there were times I felt it was quite messy to eat. 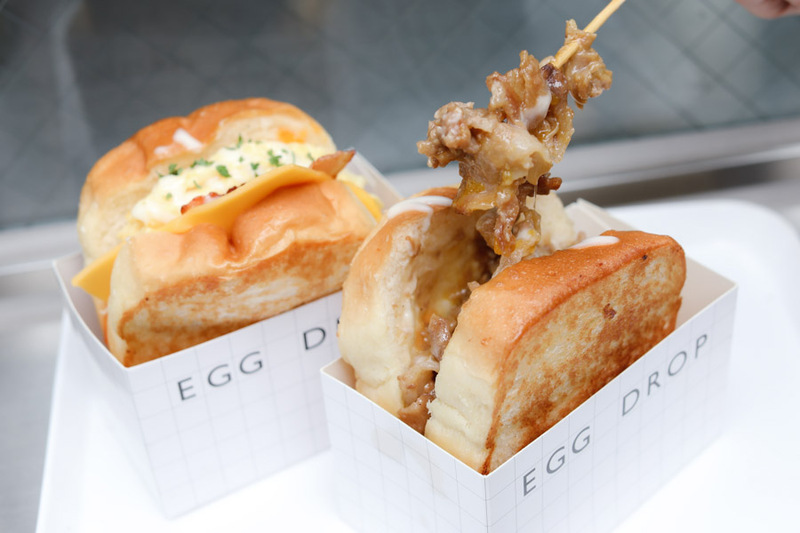 Similar to many other Korean toasts, there was this sweet cream and egg sauce that gave a honeyed-aftertaste that differentiated this from most other normal sandwiches. 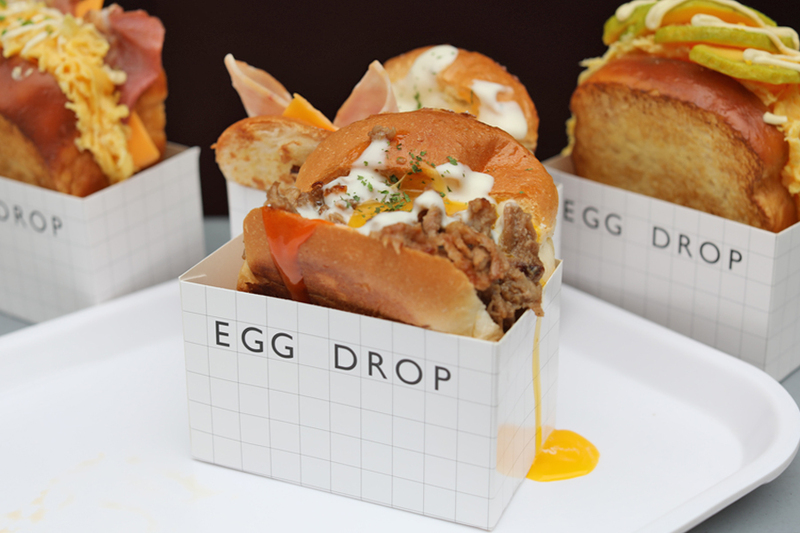 If you would like a variety, the Teriyaki BBQ comes with an egg yolk on top of slices of sweet saucy beef. 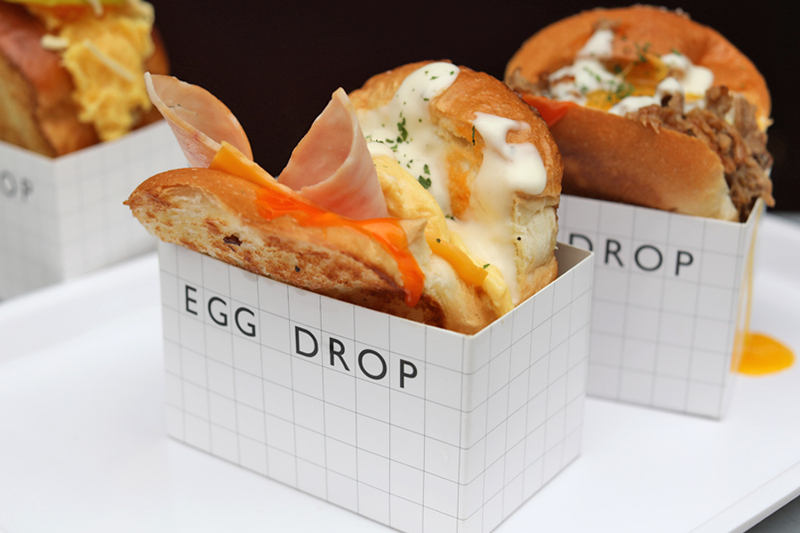 I would understand why Egg Drop is getting some traction. Perhaps Isaac Toast suffers from some inconsistency due to too many branches, while this also comes across as a healthier and more ‘stylish’ option. Hello. 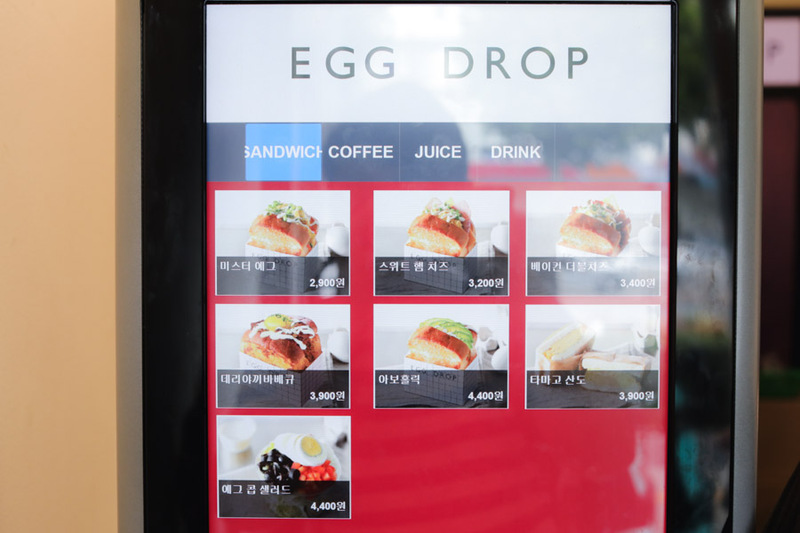 May I confirm whether the Egg Drop 에그드랍 – Mapo Branch really opens at 7am? 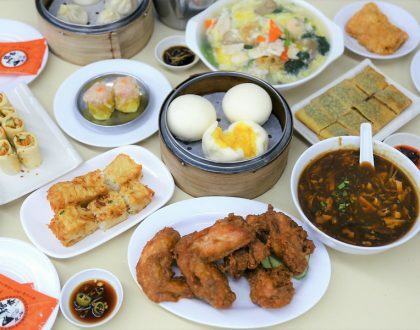 I am going to Korea next month and planning to have it for breakfast but i saw most websites saying that it opens at 11am. Your older post also says that it opens at 11am. Thanks a lot!